The Lil Pub is no more. 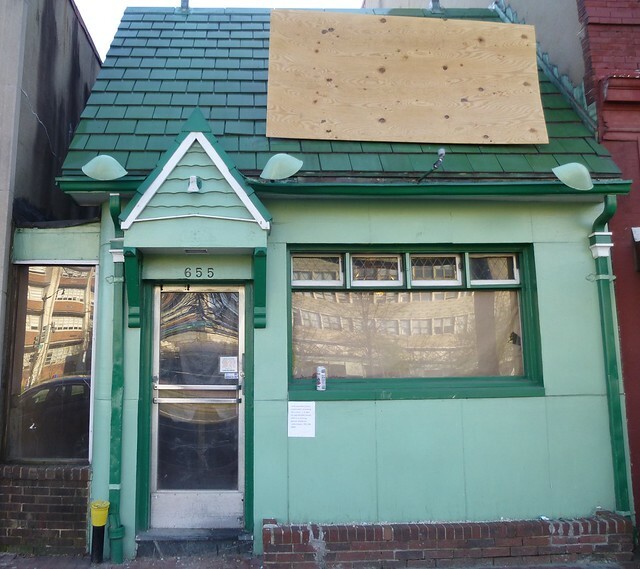 Capitol Hill’s 18-seat bar closed in January, leaving an empty, forlorn little hut near Eastern Market and Barracks Row. It was built in 1937 as Little Tavern No. 20, an outpost of eatery emperor Harry F. Duncan, purveyor of tiny hamburgers (“Buy ‘Em By The Bag!“). The last Little Tavern closed in 2008, but many of the distinctive buildings have been re-purposed. The building at 655 Pennsylvania Avenue SE was converted into a bar some 30 years ago by retired DC cop J.J. Elliott who was killed in the place by an intruder. New proprietor Howard Schurr (and the gentrification of other nearby pubs) made the place the Hill’s preeminent dive bar. This entry was posted on April 11, 2014 at 12:47 am and is filed under Capitol Hill, drinking, history, Washington DC. You can follow any responses to this entry through the RSS 2.0 feed. You can leave a response, or trackback from your own site. 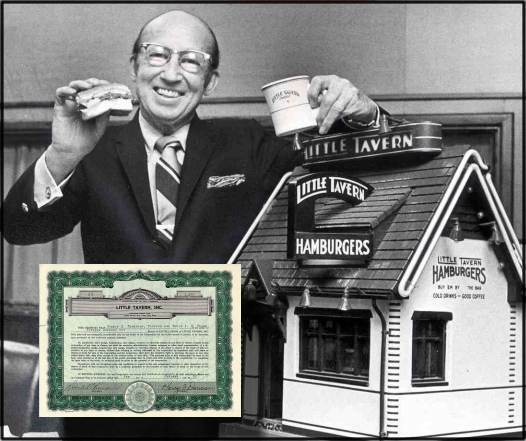 J.J. Elloitt didn’t open this bar, Mickey Pultz did. I was part owner of this, and we sold it to him. No one gives her credit.